Western Digital Corporation (NASDAQ: WDC), a global data storage technology and solutions leader, today launched My Cloud™ Home, a new personal cloud storage solution that empowers consumers to take control of their often-scattered digital content. With the My Cloud Home solution, consumers can easily aggregate all of their photos, videos and files from their smart phones, computers, USB storage, cloud and social media accounts in one central place[i]. Using their smart phone, tablet or computer from anywhere with an internet connection, consumers then are free to experience and share that content with family and friends. With their data spread across 14 different devices on average, consumers are faced with growing, disparate collections of data and no way to easily access it all. Those collections are expanding to an approximately 4.5TB of data per U.S. household in 2017 and are expected to grow further with increasing popularity of capacity-intensive applications such as virtual reality, 4K, 8K and 360 video. Users can set the My Cloud Home solution to be set to automatically and continuously copy all user content from their smart phone and computer devices. Files from USB flash drives, external hard drives and memory cards (via a USB adapter) can be quickly imported via its USB port. Additionally, users can connect to and transfer content from their social media platforms and favorite cloud services such as Dropbox, Box, Google Drive and Facebooki. Television shows, movies, home videos and music saved on the My Cloud Home can be enjoyed on a smart TV or media player using the Plex™ app. This content can also be enjoyed on a smart phone or tablet device using the My Cloud Home app. From set up to everyday usage, the mobile phone is the control center of the My Cloud Home experience. With the My Cloud Home mobile app users are empowered to share, access and enjoy all of their content from anywhere in the world with internet access. The My Cloud Home mobile app is also capable of managing the My Cloud Home solution to add services, users or even make sure the system is updated with the latest software. Attendees of the annual IFA 2017 Consumer Electronics Unlimited show in Berlin, September 1-6, can visit the WD booth #112 in Hall 17 of the Berlin ExpoCenter for a demo and hands-on experience with the new My Cloud Home and My Cloud Home Duo solutions. With no additional service subscription required, the My Cloud Home and My Cloud Home Duo solutions are protected by a two-year limited warranty and are available exclusively now from BestBuy.com in the U.S. and at select retailers and distributors around the world. The My Cloud Home solution has a Manufacturer’s Suggested Retail Price (MSRP) in the U.S. of $159.99 2TB, $179.99 3TB, $199.99 4TB, $259.99 6TB and $319.99 8TB. 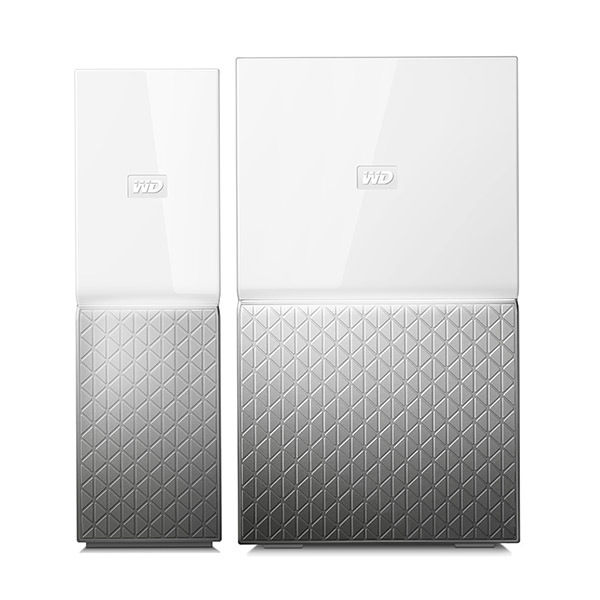 The My Cloud Home Duo solution has a MSRP in the U.S. of $309.99 4TB, $399.99 8TB, $549.99 12TB, and $699.99 16TB. This news release includes forward-looking statements, including the expected availability, pricing and performance of the My Cloud Home and My Cloud Home Duo solutions and their features and benefits to customers. There are a number of risks and uncertainties that may cause these forward-looking statements to be inaccurate including, among others: volatility in global economic conditions; business conditions and growth in the storage ecosystem; impact of competitive products and pricing; market acceptance and cost of commodity materials and specialized product components; actions by competitors; unexpected advances in competing technologies; our development and introduction of products based on new technologies and expansion into new data storage markets; risks associated with acquisitions, mergers and joint ventures; difficulties or delays in manufacturing; and other risks and uncertainties listed in the company’s filings with the Securities and Exchange Commission (the “SEC”), including our most recently filed periodic report to which your attention is directed. We do not intend to update the information contained in this release. My Cloud Home and My Cloud Home Duo are available exclusively at Best Buy for a limited time in the U.S.